Home » Old Fashioned Lemonade Stand! 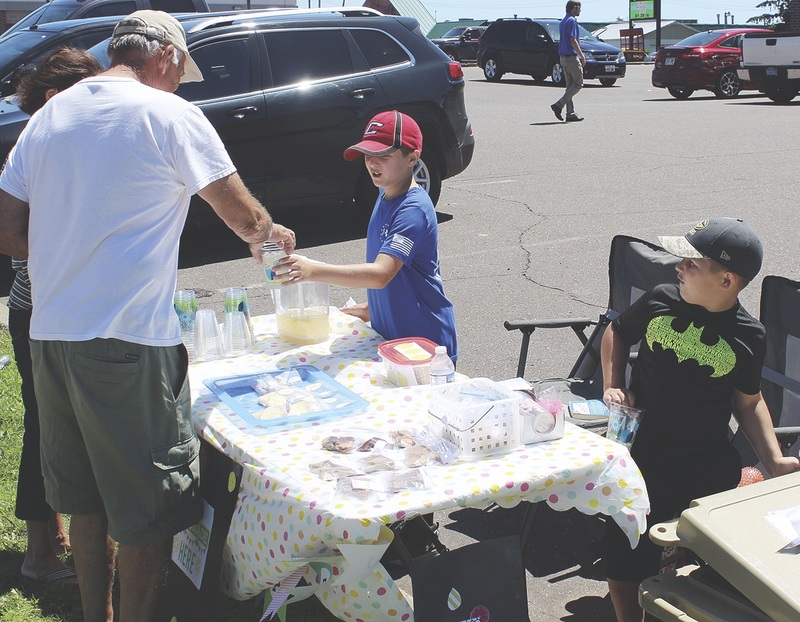 Noah and Caleb Hile took advantage of the hot summer weather to sell lemonade and other treats in front of Re/Max Northstar on Monday afternoon. One half the proceeds will be donated to the Contingency Fund at First Lutheran Church.